This newly remodeled family home embraces the elegance of a clean design and an open feel. Upon entering the home, guests are greeted by the friendliness of a split barn door. The grand staircase has been fully redesigned and now allows for wide steps with lots of depth finished in a rich, dark brown color. In the living room, our client can enjoy ample and stylish storage trough use of a built in bookshelf. Moving through to the formal dining area we find a small hallway which has been transformed into a wet bar, perfect for relaxation and entertaining. With a master bathroom designed to impress, our client now has the perfect place for some rest & relaxation. This whole home remodel took a typical Orange County track home from standard to incredible. 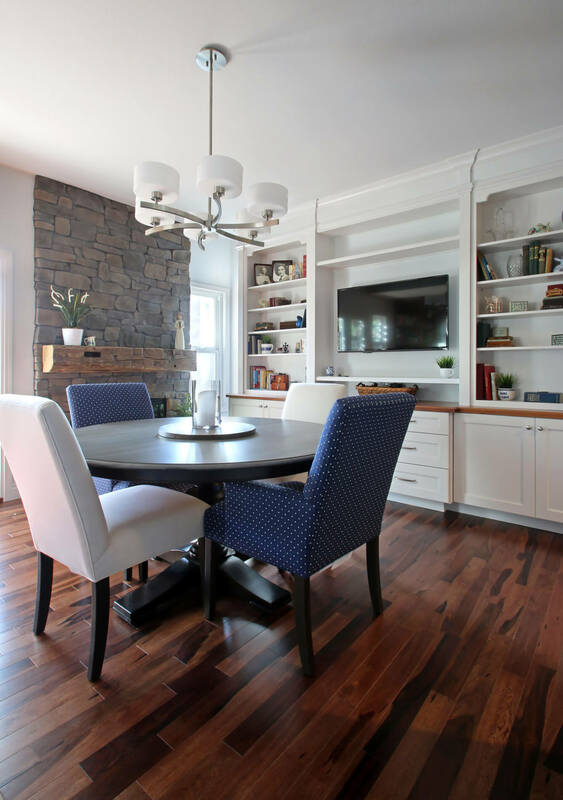 By removing any dividing walls on the first floor, the home became one huge great room made for this growing family. 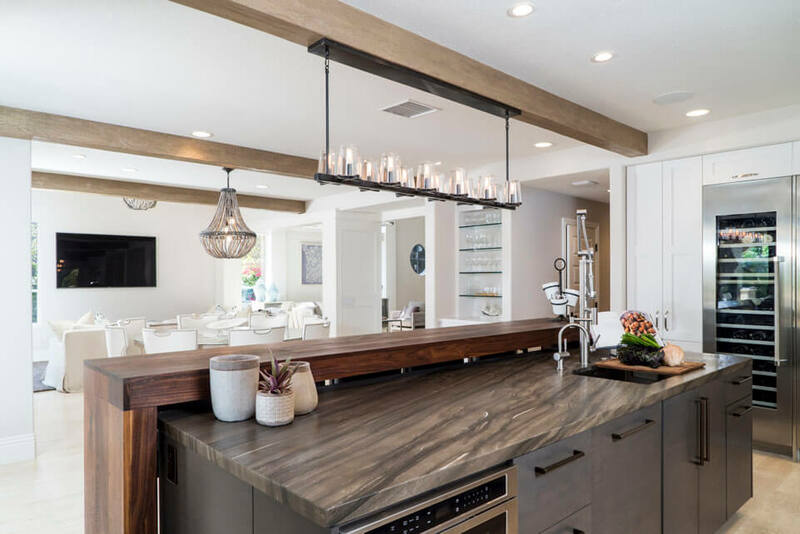 The 14-foot island made from lathered quartzite and a custom walnut waterfall bar-top is the home’s statement piece. The white perimeter cabinets bring a freshness to the space allowing for the perfect balance of elegance and style. The addition of the California Room outside brought the project together with two sets of bi-folding doors. The outside space is an entertainers mecca complete with a two-sided built-in fireplace, pizza oven, bar, TV, and rotisserie.